The International Contemporary Furniture Fair is filled with amazing designs for the modern home, and not to be forgotten are the kids who also deserve beautifully designed furniture. There were at least a few pieces on display at ICFF that speak to a child’s sense of wonder and playfulness without being juvenile. 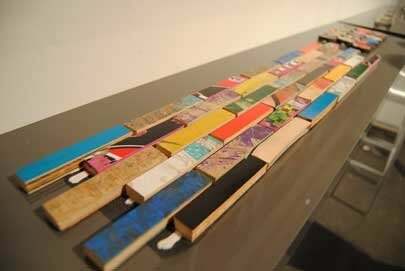 Art of Board (shown above) uses recycled skateboard decks and cuts them into tiles that can be used for a backsplash, wall covering, or graphic wall art. Every piece is unique and they are now producing wall prints of some of the coolest designs. Kast van een Huis are multifunctional storage cabinets designed and manufactured in Holland for both children and adults. 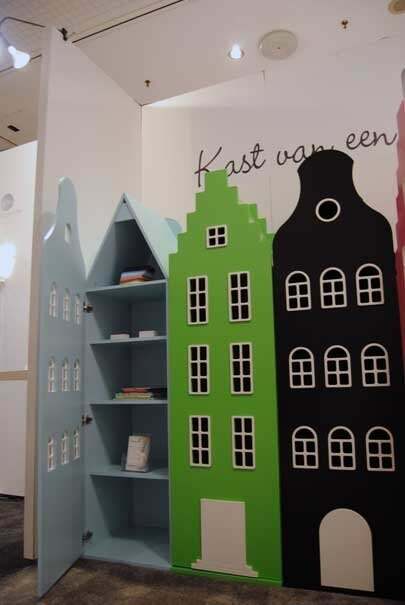 They mimic a typical Dutch cityscape and are made of FCS-certified MDF and are covered in non-toxic paint. You can choose from three distinct gable styles, and you can align the shelves in various layouts. Playable Studio comes from the mind of inventor Willie Hoffman, whose goal was to invent playable furniture that is functional for kids and adults. It’s made of environmentally friendly materials, and the safe edges and ergonomics are suitable for children of all ages. 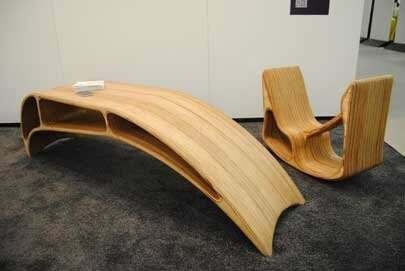 The first line consists of a table that doubles as a slide or bench, as well as a rocker that can be a side table or stool.